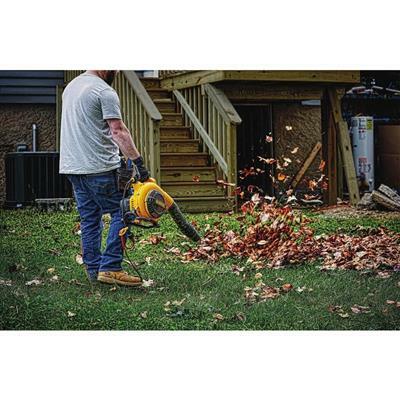 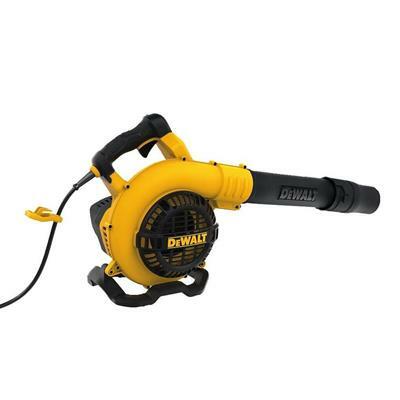 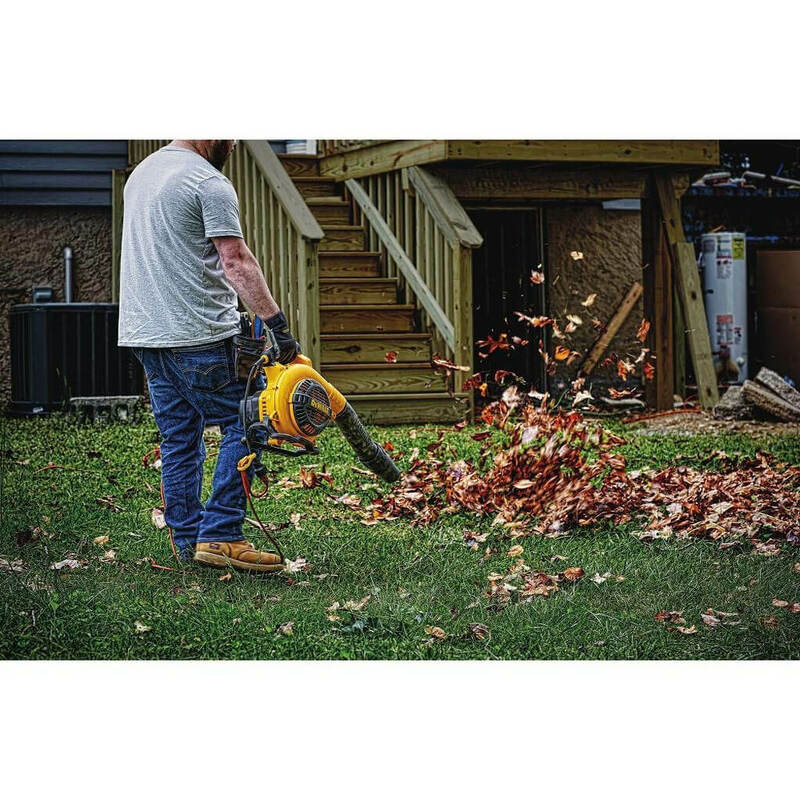 The DEWALT DWBL700 12 Amp Handheld Blower features contractor-grade performance without the hassle of gas; indoors or out, this blower lets professionals clean-up quickly & thoroughly without gas. 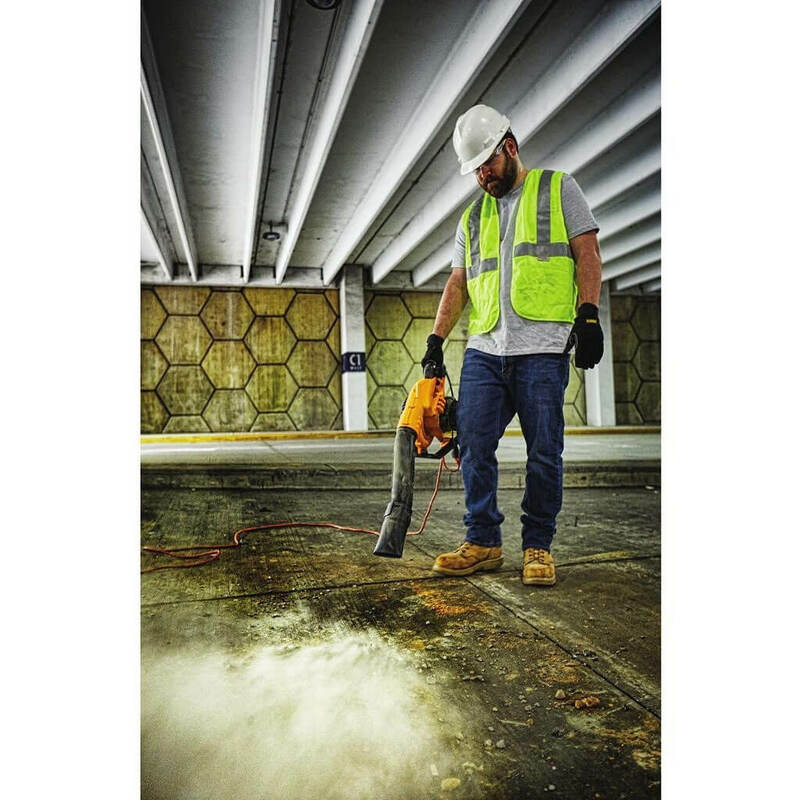 The corded handheld blower is built to last job after job thanks to heavy-duty dust-resistance & motor life. 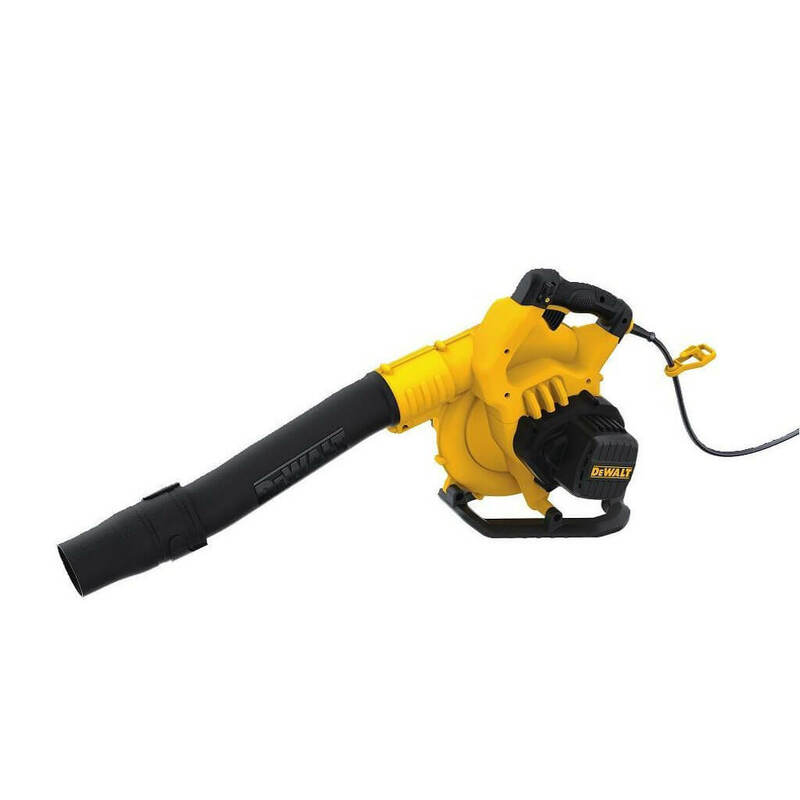 The standard round nozzle powers through debris at 409 CFM of air volume at 145 mph, & the flat concentrator nozzle is designed to increase air Speed to 189 mph to power through stubborn debris. 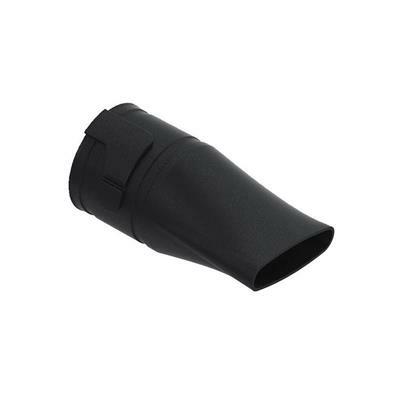 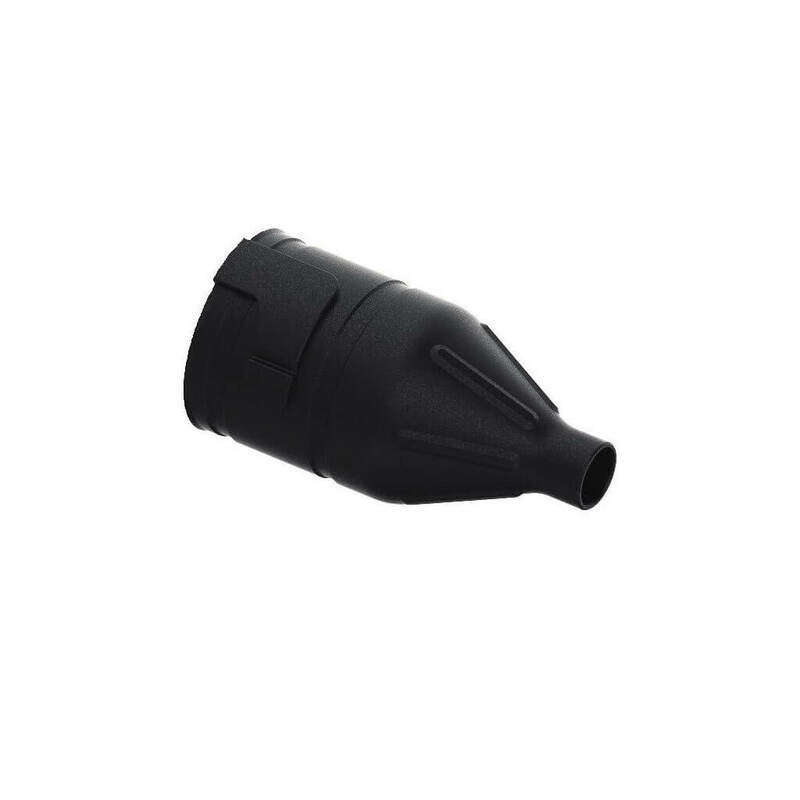 It also offers a 1" round concentrator nozzle for blowing out crevices & concrete anchor holes.